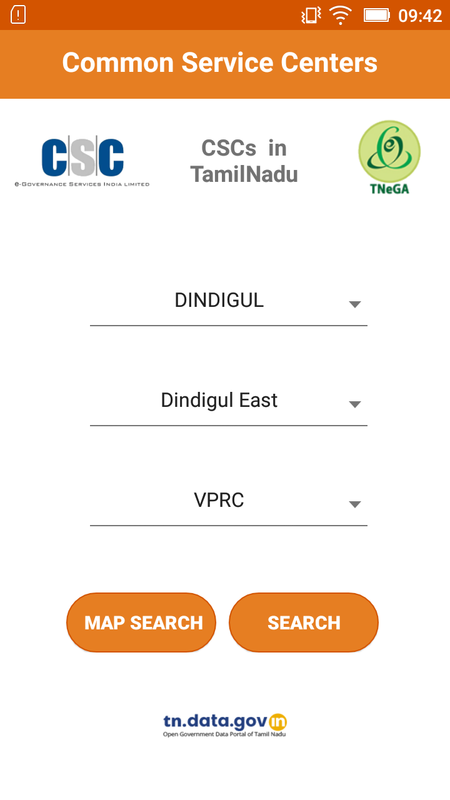 The Government of Tamil Nadu has launched the Open Government Data (TNOGD) Portal at https://tn.data.gov.in to provide collated access to resources (datasets/apps) under catalogs, published by different government entities under Government of Tamil Nadu in open data format. It intends to increase transparency in the functioning of the State Government and also open avenues for many more innovative uses of Government Data to give a different perspective. The Common Service Centre (CSC) scheme was formulated under the National eGovernance plan envisaged the CSCs to act as front-end delivery channels to provide various Government services. The Government of Tamil Nadu vision for the Common Service Centre (CSC) Project is that the IT-enabled Government Services should be accessible to the common man in his/her village, through efficient, transparent, reliable and affordable means. This vision shall be realized by the state Government by setting up the CSC project in partnership entities who will establish the network of common service Centers and deliver a range of G2C and B2C services through the network of CSCs. 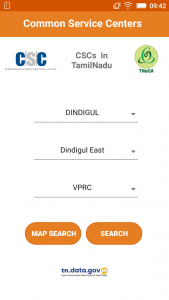 Tamil Nadu e-Governance Agency (TNeGA) has recently published a dataset on TNOGD portal titled “Common Service Centers(CSCs) in Tamil Nadu” can be downloaded from site https://tn.data.gov.in/catalog/common-service-centers-csc-tamil-nadu#web_catalog_tabs_block_10. 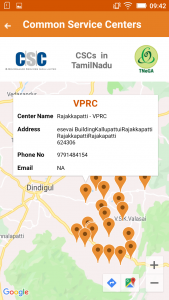 The Common Service Centers(CSCs) Dataset published, has the details of all CSCs operated by TNeGA in Tamil Nadu, with the location details like District/Taluk/Agency along with its complete Address, Mobile Number and Email id. 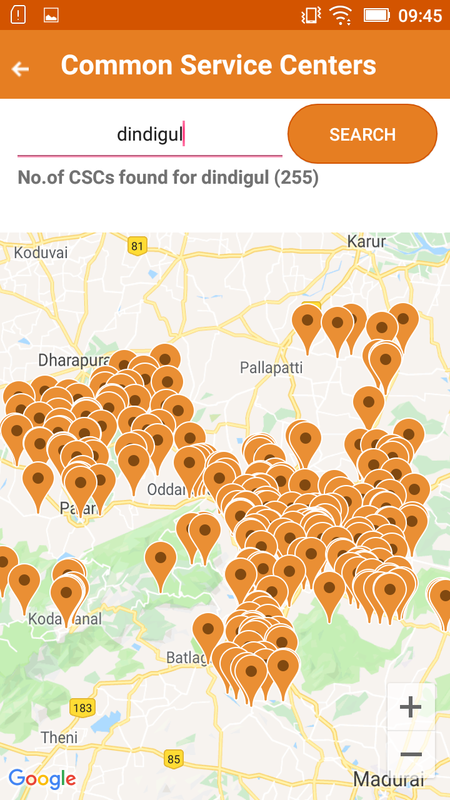 The Name of CSCs as well as its Agency is also provided in the dataset along with its geo-location details like latitude and longitude. 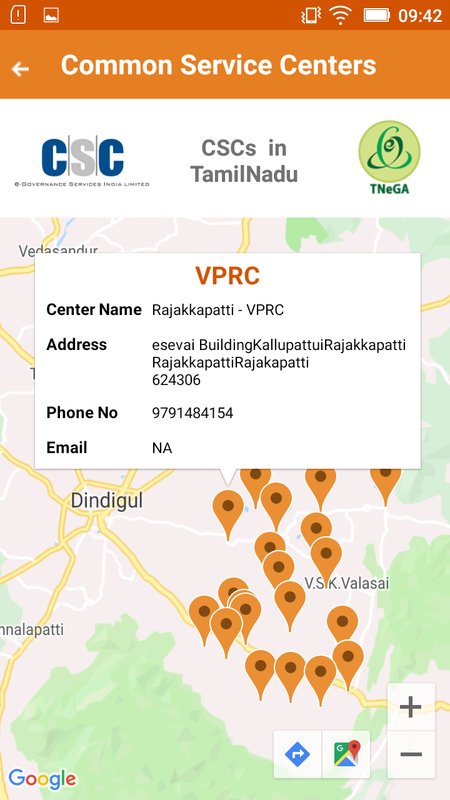 An Android-based Mobile Application named “Common Service Centers(CSCs) in Tamil Nadu” has been recently developed using the CSC Dataset published by TNeGA, to showcase the potential of TNOGD Portal. The App helps the users in locating the nearby CSC centres for availing various Government Services. 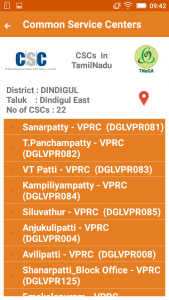 The users can also choose the District & Taluk names to find the nearby CSCs across Tamil Nadu. It has the search facility to locate the CSCs by the place name. The address of PEC as well as its contact person phone numbers and Email address are listed in the App. It also has the facility to search and locate the CSCs on Map.